Some of you might see the Pi as a single-board computer and work with it, or see it as an IoT solution to build interesting stuff with it, but for me, most of time I see it as a fairly PORTABLE and super easy-to-use MEDIA CENTER, all thanks to this Raspberry Pi 3 Media Center Kit - Europe. This kit is absolutely out-of-box as it comes with a 16 GB MicroSD card (class 10) that has been pre-installed with the OSMC system - a free open source media center based on Debian Linux and Kodi Media Center, it can play all major media formats you may about to use. 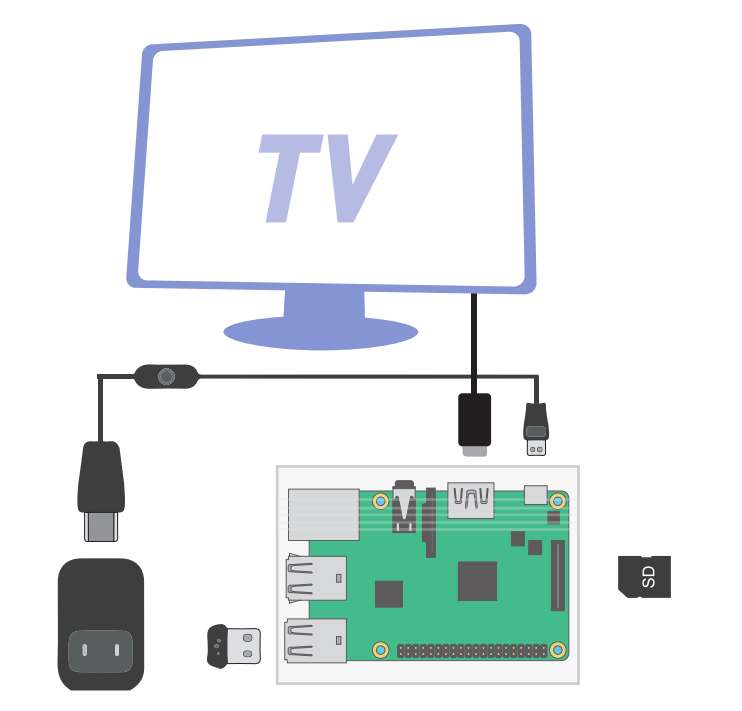 Beyond the SD card, the kit also provides most of accessories you need, such as a high quality 5V 2.1A power adapter (European Standard) and a Micro USB cable with build-in switch for the power supply, and a HDMI cable for the connection between your Pi and the monitor. There is a 300M WiFi USB adapter as well, simply plug it in to give your Rasp Pi internet. A high quality power adapter that has been certificated with FCC&CE.